Five shared lessons in series for couples or friends. A learn together, play together package. Fundamental developmental or advance training. This package includes 4 private lessons (30-minutes each). All areas of play can be explored to bring balance and consistency into play. This package includes 6 private lessons (30-minutes each). Performance development system. Goal-setting, specialty, lower your score, sensory management and sports phycology. This package includes 9 private lessons (30-minutes each). Northern California's Most prolific instructor and club fitting expert. Matt has taught golf swing , golf mind management business golf and club fitting worldwide for three decades. This highly valued instructor renders services based out of Silicon Valley (San Jose Ca.). A developmental Psychology background lends to a style of educational instruction that is clear, understandable and oft times brilliant and always effective. Dealing with causation and education lends to permanent benefits Mr. Flenniken helps every student be self-sufficient and knowledgeable of the swing and the playing and the value of the sport. Full bodied programs balance the student's game, so strengths are enhanced and weaknesses eliminated. From beginner to advanced players superb instruction can be expected. 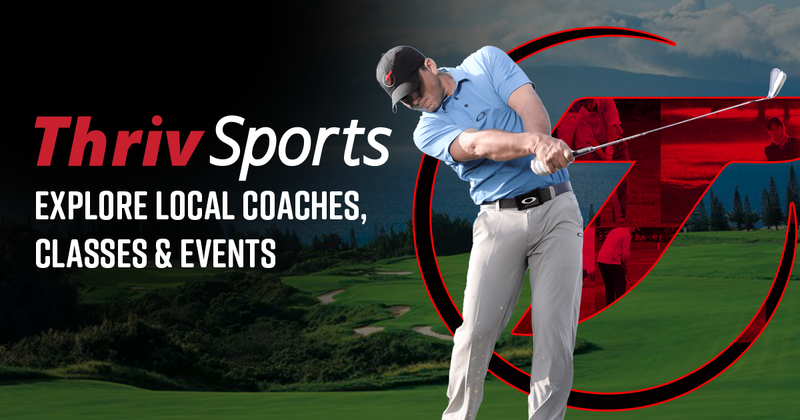 Vast experience from this PGA professional shines as any swing problem can be met. The abilities gained from three decades of instruction in all aspects of the sport offer any student a solid choice of this instructor. Los lagos GC is a National Player Development Award recipient. One lesson and I saw light at the end of the tunnel after struggling for years. Online golf videos driving you insane? Go see Matt. Working on getting the right sholder turn all the way through the swing.. Working on taking th club the back with the left arm straight and more to the outside while keeping the hands low at the Start of the pull back. extremely knowledgeable and helpful! Game changer! 3 lessons and seeing very positive results for me and my son. Looking forward to our next lesson. Great lesson. Matt got right to the heart of my problem and explained it perfectly. I was very happy with his teaching and insight. Just had my first lesson with Matt. He sized my swing up in a heartbeat and had me hitting the ball better than I ever have in no time. I would highly recommend Matt to any golfer. He is a great coach, I like him! Good lesson.....starting over with the basics. Trying to get this game in line with my age.....Wow if I could shoot my age that would be a great trick. Great lesson!!! Third lesson with Matt, each lesson has been an eye opener. Today Matt straighten out my driver during my lesson. I can immediately saw, and felt the benefits of the three changes he asked me to make so I can work on them. Now I just got to work hard, and grove in these changes permanently. Perhaps the best decision I made during my journeyman route to learning this game. Matt teaches you from where you are and takes the effort to understand why you are pursuing the sport. If you want someone who is going to prescribe a cookie-cutter recipe with a bunch of mechanics and catchy phrases common place in golf magazines, he isn't for you. He, instead, provides excellent visuals, conceptual tools, factual knowledge, analogies and rationale for why you need to do what you need to do. He helps you think and feel the practice of the game versus memorizing sequences. But don't get me wrong - he will help you zero in on fundamentals like balance, grip, set-up posture and follow-thru while also getting you to play the game from the heart. In just a few lessons I was able to witness appreciable improvement to my swing and, more importantly, his homework made it stick consistently on the driving range and my backyard practice setup. It was a true boost to my confidence because now I rarely fear severe miss hits and when they do occur, I can quickly correct and re-set. He also great at giving it to you straight-on in terms of what you need club fitting-wise and with other aspects of the game. One lesson with him is better than any flavor-of-the-month book and quick read magazine article. Even with all his awards, certifications and pro tour playing experience, he is approachable, funny, and sometimes professorial but you would do well to listen closely otherwise you'll miss the gems of knowledge he imparts in very subtle and speedy fashion. Two thumbs up in my book. And shots with appropriate rationale. He is a fun teacher who related the game with real life examples. I enrolled myself as a beginner and learnt many concepts of game. I started working with Matt in Fall 2014, and since then my index has improved from a 2 handicap to a +1, and just the other day I had my first bogey free round after 18yrs of playing. At 30yrs old and I'm playing better golf than I ever did in HS or college, and I work 60+ hrs a week so it's not me being a range rat. Matt has an amazing ability to combine technical expertise with feel and psychology. I'd highly recommend lessons with him. He's engaging, bright, and analytical. For me, lessons with him are practically a therapy session too! Matt is that rare blend of incredibly knowledgeable yet totally personable instructor. He takes the complex sport of golf and breaks it down into bite-sized chunks that anyone of any skill level can appreciate. His lessons are not cookie-cutter, rather very specifically customized to WHO you are as well as what your skill is. Matt is also extremely helpful in breaking down the psychology of golf ("Golf is played on a five inch course - the distance between your ears." --- Matt delivers tools for that "short game" too =) I HIGHLY recommend taking his lessons not only to help improve your score, but also to enjoy the process as you learn! Matt gave me useful and practical suggestions according to my condition and that makes him different from other coaches. Matt, the most experienced golf coach you will ever find that improves both your outside games and inside games. I'm a 8th grader and was having lessons with him for about half a year. He really brings my game to the next level within few months. He brought my handicap down from 25 to 14. It's been a great experience with this funny coach. And now he is preparing me for high school golf, we both hope to get my games better. Oh by the way, I just got MY FIRST HOLE IN ONE during our first playing lesson. He called the shot, and I execute it. Golf is so fun, I love golf!!! Matt really improved my game by very quickly pinpointing problems in my swing and correcting them. My score has improved and I play with much more ease while gaining in length. Matts approach to teaching golf is the best I have experienced. He evaluated my physical ability, current tendencies and most importantly my goals before he came up with an improvement plan. In other words, he made the lessons very personal and tailored his teaching to my learning style. After 4 lessons the improvement was very obvious to me and my handicap dropped from 16 to 13. The clarity he provided and focus on a couple of things enabled me to win our club championship 1st handicap flight last weekend...and it sure is a lot of fun to play better! I can't wait to go back to take the next step and continue to improve my game. 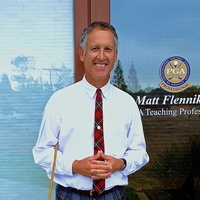 Matt Flenniken is by far the best golf teaching coach in the Silicon Valley / Bay Area. I was an 8 handicap when I started working with Matt several years ago and now I'm a 5 (sometimes down to a 4). Matt teaches the mechanics of a high quality golf swing, but what I like most is he quickly figures out the small issues in my swing that, when fixed, often yield big returns. And most importantly, Matt really cares about the progress that his students make. I feel like he is in my corner cheering for me to advance to the next level. I come to sing the praises of instructor Matt Flenniken at Los Lagos GC, San Jose CA from whom I have been taking lessons for over 5 years. When I met Matt my game had degraded to nearly nothing. I told Matt I wanted to play the best golf I could with the best fit clubs to my game and swing. He did with swing component lessons to swing correctly. My scores have gone from the high 90s to low 80s with some 70s -my last two rounds at Los Lagos were 79 and 76. His instruction is to the point, learning to swing properly with the properly fit clubs given my age. He best lesson may be to "self correct" when things go south on the course. If you truly follow his instruction and apply it with practice and diligence you WILL improve. I highly recommend Matt to every player who asks me about instruction. Matt has always been one of the most knowledgable golf minds I know. Always on the leading edge of technology and it's application to golf, Matt is my source for the most up to date instruction. His patience and ability to communicate really works well for me. When I find myself needing some "eyes" to get my game back on track, Matt is my choice. I am hoping he has some magic for me next week, my game needs help. Matt is a great coach who has a ton of patience. He also has an amazingly broad and deep knowledge of the golf swing. The most helpful thing for me has been how he uses multiple ways of explaining concepts until one clicks. Rather than fit me into some ideal swing, he has worked with me over years to build a swing that suits my body type and preferences. Over the course of 3+ years he has taken me from a ~20 index to an 8. I look forward to many more years with him. I've been taking lessons from Matt for a couple of years. He is an excellent golfer and instructor. Through his experience and expertise, he is able to apply a variety of techniques to adapt to the individual learning style of the student. He is very professional and my game has improved as a result of my lessons with him. I highly recommend Matt if you are considering fine tuning your game. Matt has giving me instructions since 1998. He is patient and instructive. I have highly recommended him to many of my playing partners. great teacher/coach - learned to play via Matts instruction. Matt fine tunes his style based on the players method of learning i.e. visual etc. Again Matt is one of the best !!! !